He alleged an FIR was filed against him and 250 others by the Bihar CM. 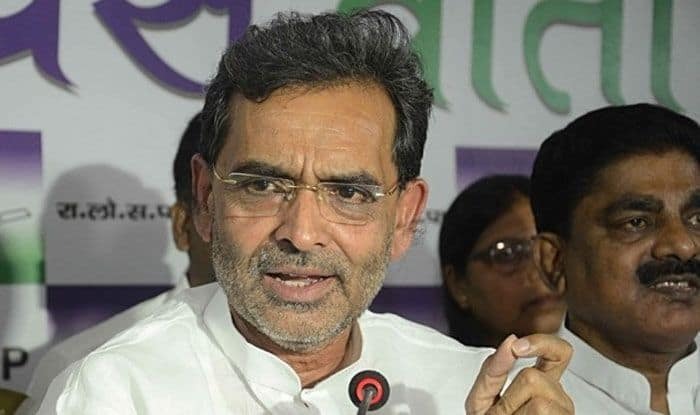 Patna: Rashtriya Lok Samata Party (RLSP) chief and former Union Minister Upendra Kushwaha on Wednesday charged Bihar Chief Minister Nitish Kumar of plotting a conspiracy to harm him during a protest march last week. On February 2, Kushwaha and half-a-dozen RLSP activists were injured in a police lathi-charge during party’s ‘Aakrosh March’ in Patna. Kushwaha had sustained injuries in his head, leg and hand. He was taken to Patna Medical College Hospital (PMCH) and discharged after initial treatment. “The police first used water cannon to disperse the protesting Rashtriya Lok Samata Party (RLSP) leaders and workers followed by a lathi-charge,” party spokesperson Madhav Anand had said. He denied that his supporters had turned violent, and alleged that miscreants in civil dress were sent by the administration to spread chaos. “The chief minister has been misleading the people with the claim that our march had turned violent. The fact is, goons in civil dress were sent by you (Nitish Kumar), your administration, for creating a ruckus so that the police could have a justification for using brute force,” Kushwaha said. Last year, Kushwaha had walked out of the BJP-led NDA and joined the ‘grand alliance’ of RJD, Congress and Hindustani Awam Morcha led by former Bihar Chief Minister Jitan Ram Manjhi.